3. Get to know what is the real ancient Chinese living like in Hongcun Village. 3. High-quality service (private guide & air-conditioning vehicle). 3. A very local price guaranteed. 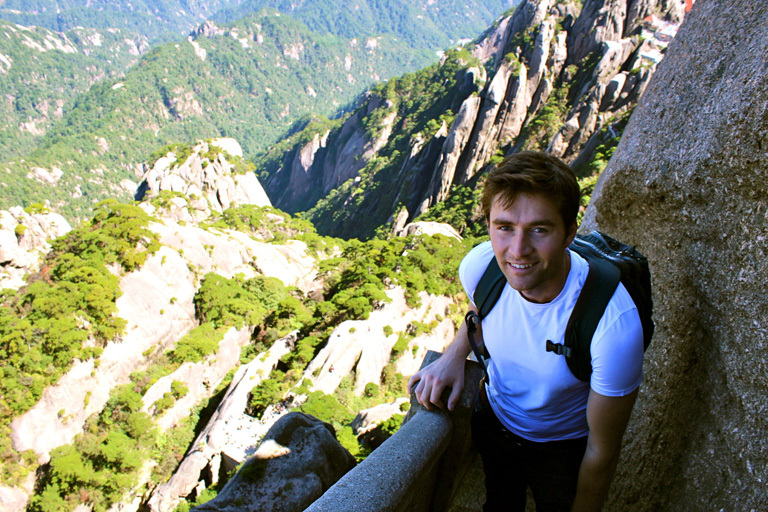 “No mountain is worth seeing after a trip to Huangshan Mountain”. 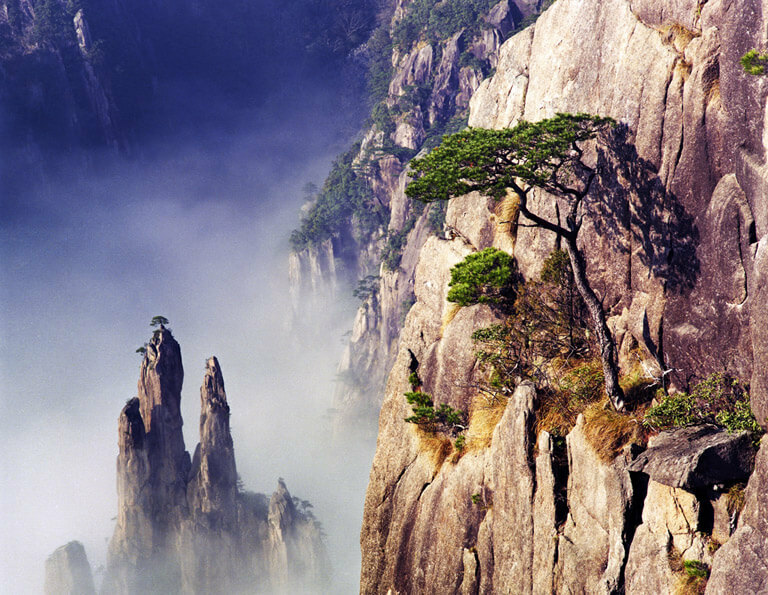 Huangshan Mountain (Yellow Mountain), a UNESCO World Cultural and Natural Heritage Site, is widely believed as the most beautiful mountain in China. It features the “Four Wonders” - beautifully-shaped pines trees, fantastic rock peaks, sea of clouds and hot springs. 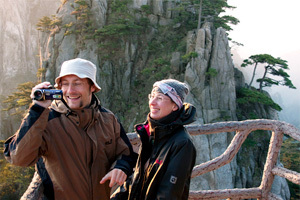 No matter you travel as solo, senior, hiker or family with kids, Huangshan always offers you a suitable trip. 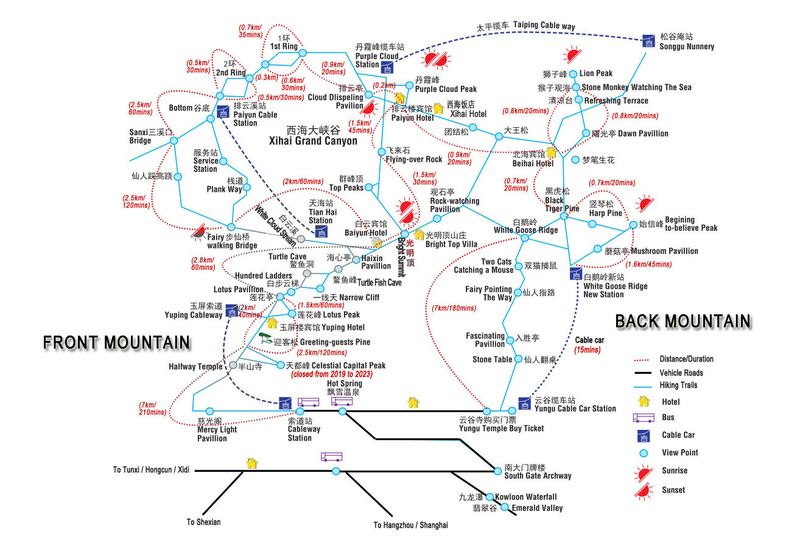 Huangshan Mountain is divided into Front Mountain (Western Path) and Back Mountain (East Path). The Front Mountain features dominating peaks, beautiful stone paths and far reaching views. The Back Mountain is famous for idyllic smaller peaks and shapely pine trees. 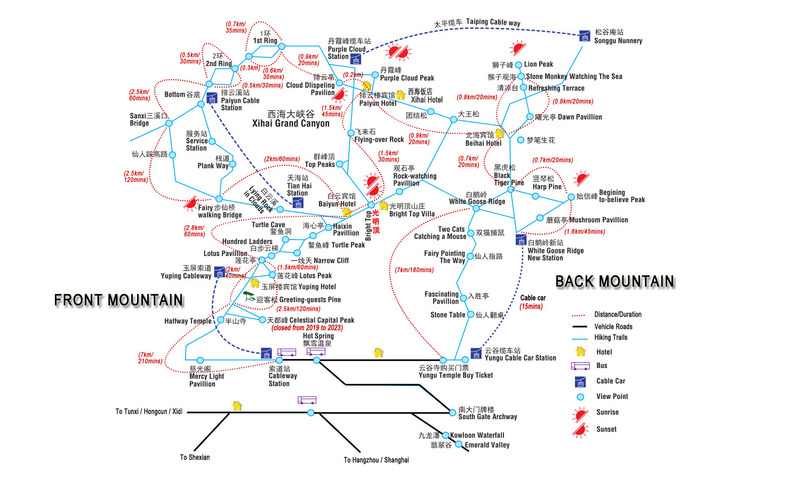 Most of the highlighting attractions are located on the mountain top area where you can get by foot or cable car. You can easily plan your Yellow Mountain trip to 1 day, 1.5 days, 2 days, 3 days or more according to your days, energy condition and interest. After Huangshan Mountain tour, you are strongly suggested to explore one or two nearby Hui-style beautiful ancient villages - Hongcun, Xidi, Nanping, Bishan, etc. There many interesting ways for you to have fun, such as hiking, photography, biking, and rural living experience, etc. 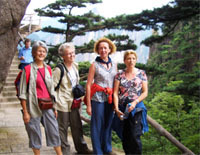 All of our Huangshan tours can be tailor-made to fit your needs and likes. 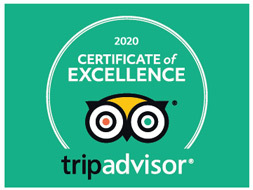 You will also be well taken care of by our local knowledgeable and helpful tour guide and experienced private drivers, and enjoy well-selected quality accommodation and food. Start your Huangshan holiday now! Latest News: 1) West Sea Grand Canyan reopens after the annual winter routine maintenance and West Sea Cable Car resumes operation. 2) From 20th March, 2019 to 31st March, 2024, Lotus Peak is open while Celestial Capital Peak is closed for maintenance. 3) all direct flights between Shanghai and Huangshan have been cancelled as there are 20 more high speed bullet trains have been put into running between these two very popular tourist destinations in China. The high speed trains only take about 2.5~3.5 hours to transfer from Shanghai to Huangshan. This tour will take you to explore the best highlights of both Front Mountain and Back Mountain in 2 full days. The hiking pace is neither too tight nor too relaxing. Park bus and cable cars will save you from unnecessary walking, and directly bring you to the sightseeing areas with stunning landscapes and enjoyable hiking experience. This tour is suitable for all kinds of travelers - family with kids, seniors, honeymooners, photographers, etc. You will have a leisure tour on the mountain to admire its archetypal granite peaks, twisted pines, beautiful cloud sea and fabulous sunrise in good-weather days. 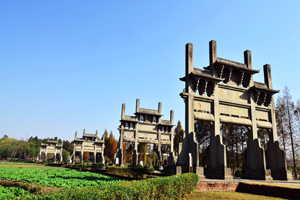 After the memorable Huangshan Mountain tour, you will be taken to visit two remarkable ancient villages, best examples of ancient Huizhou-style architecture, which are listed in UESCO World Heritage Sites - Hongcun and Xidi. 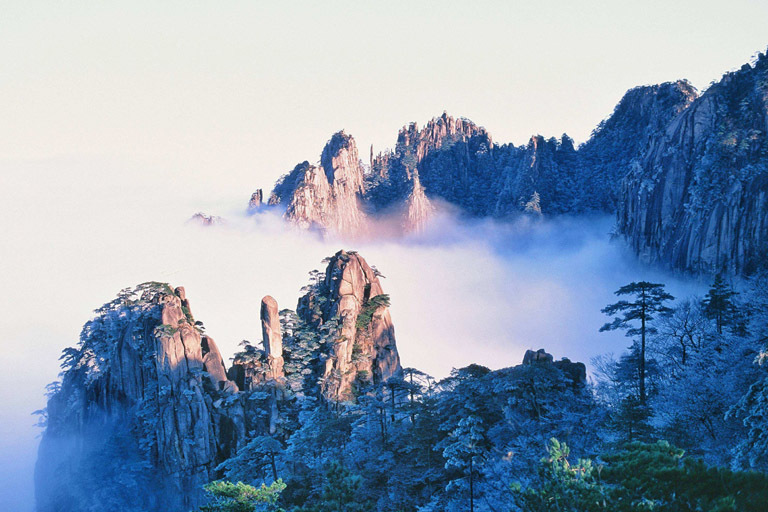 The winter days of Huangshan Mountain are actually very beautiful as one of the best time for photography. It’s strongly recommended to enjoy a comfortable Hot Spring after Huangshan mountain walking trip. 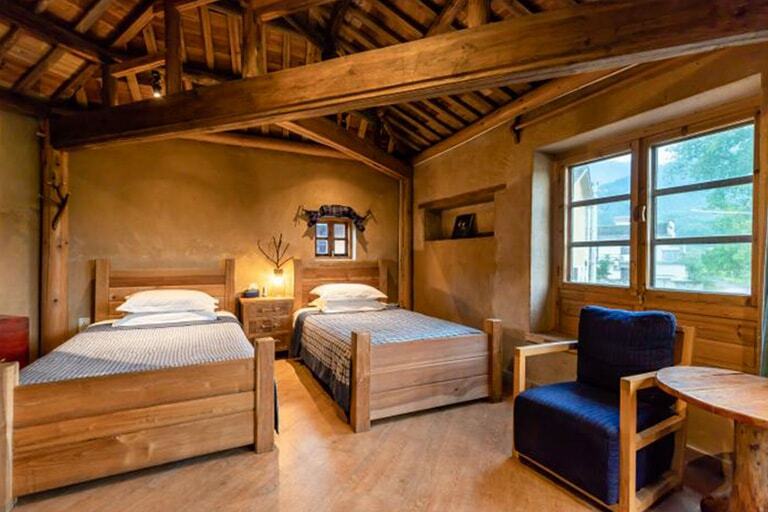 After that, you will also have an interesting visit to Hongcun Village which is regarded as the most beautiful ancient Chinese village in China. 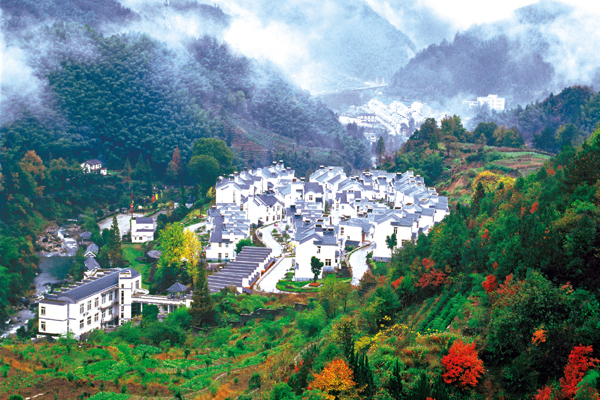 Escape to China's Picturesque Mountain and Idyllic Villages! 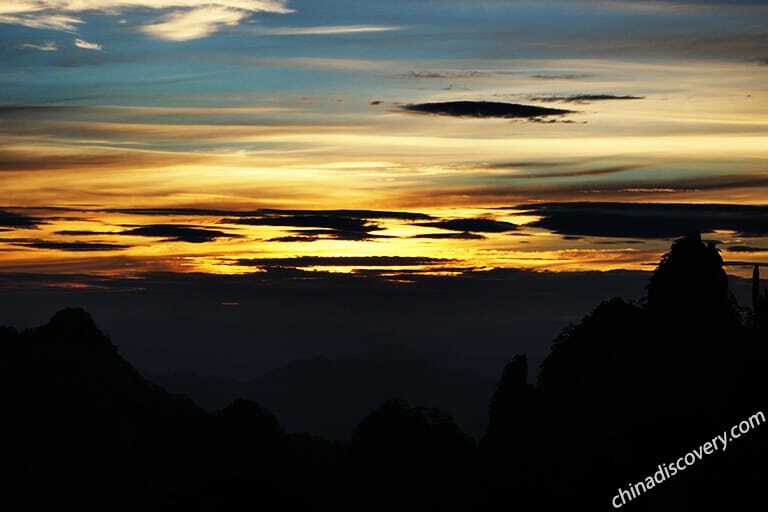 Bishan next to Huangshan is the place which will take all your tiredness and annoyance away. It’s much tranquil, and seldom squeezed by tourists groups, the ideal place to experience the peaceful genuine countryside life in old China - the beauty, the nature, the real contact with Chinese life. In this vacation tour, you will stay a fantastic night and some leisure day time at Bishan. 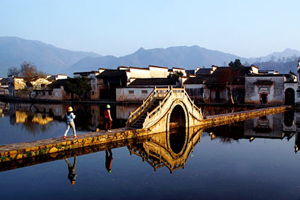 Before that, you will explore the beautiful Huangshan Mountain and stunning Hongcun Village first. Visit Yellow Mountain in just one day? Yes, it is totally doable. You will not only save a lot of budget and time, but also make fully use of your trip to visit the best highlights of Yellow Mountain in a single day. Lion Peak, West Sea Grand Canyon, Greeting Guests Pine... you won't miss any of them in this trip. 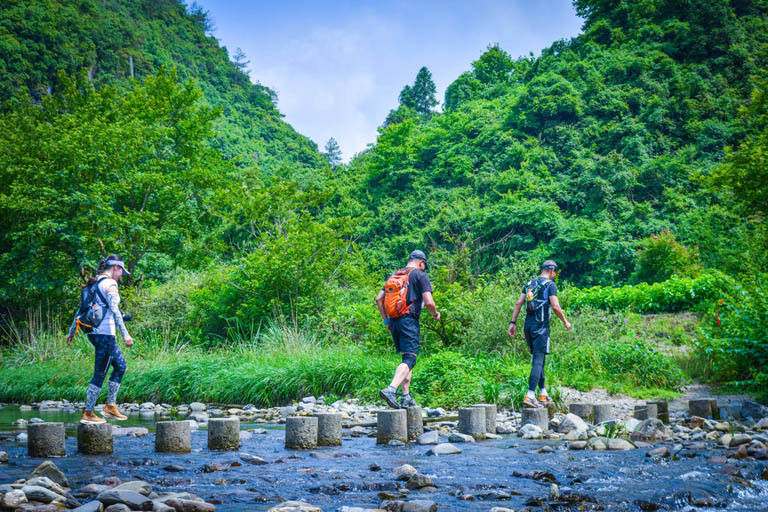 This excellent hiking tour has combined both the classical walking trails on Huangshan Mountain and the beautiful countryside walking from Hongcun Village to Xidi Village, which give you a chance to hike 3 full days with 2 completely different-style experiences. If you are a serious hiker and plan to stay 2-3 days on Yellow Mountain, then this tour is perfect for you. You will conquer the challenging roads and steep peaks with your feet and mind.All the best highlights of Huangshan are covered. The most exciting part is the full-day adventure in the dreamland - West Sea Grand Canyon. 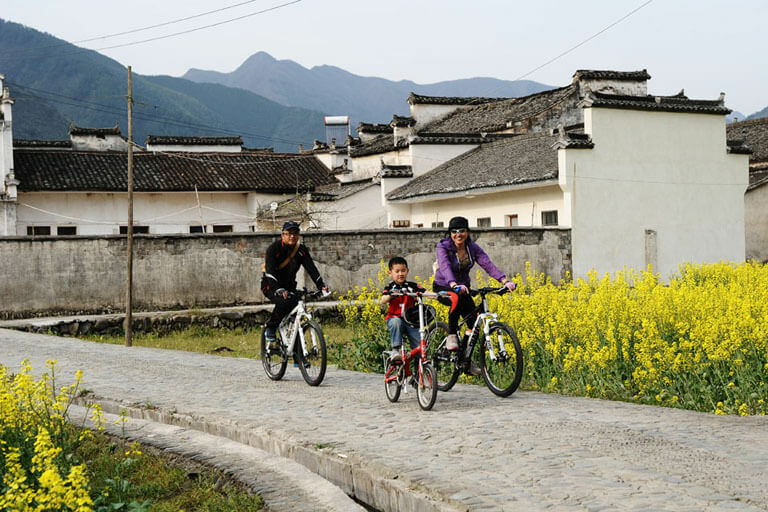 Ride leisurely for a half day to explore beautiful surrounding area of Hongcun Ancient Village, also spend a leisure walking tour on Huangshan Mountain. Private tour package, tailor-made biking itinerary! 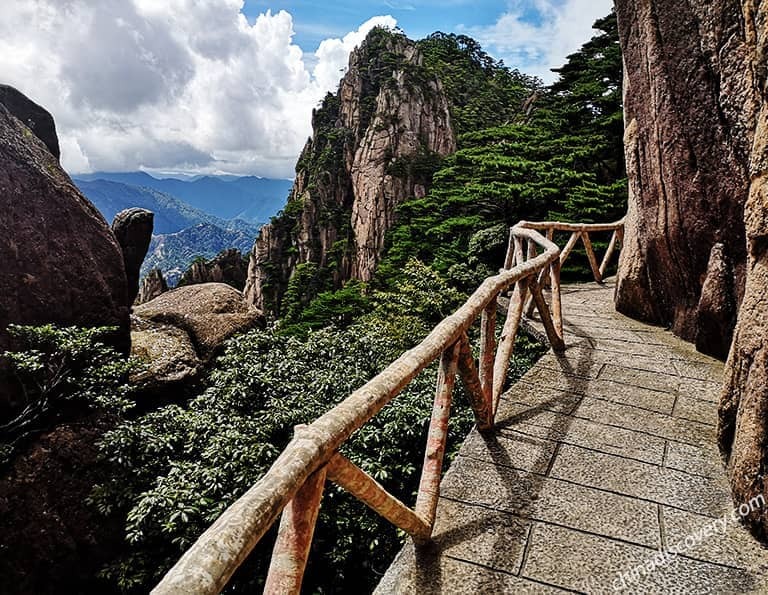 Spend 4 days in Huangshan to explore the Four Wonders of Yellow Mountain in brief two days - “Odd-shaped Pines, Spectacular Rocky Peaks, Sea of Clouds, Hot Spring”, and then linger among the tranquil lanes of the ancient villages to explore the featured Ancient Huizhou Culture. This 4-day tour leads you to the most famous mountain of China – Yellow Mountain, the most beautiful small town – Wuyuan, strongly recommended to you if you are a photography lover. 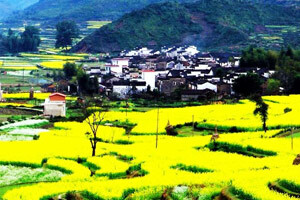 Enjoy "wonders" of Yellow Mountain, and explore the stunning scenery in the countryside of Wuyuan. 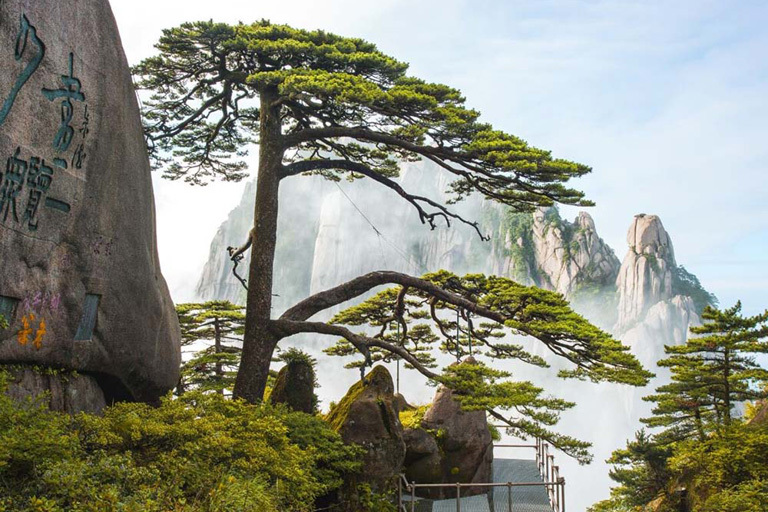 Photographers who come on pilgrimage to Mount Huangshan could capture the sunrise over the misty peaks, sunset from the sea of clouds, granite peaks and twisted pines wreathed in spectral folds of mist. 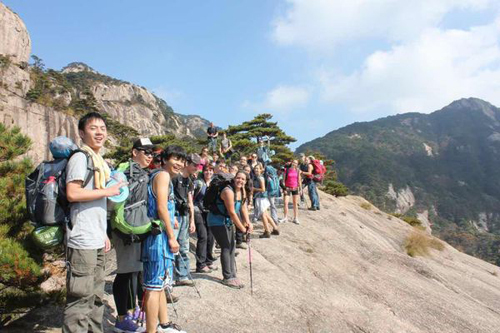 The hiking routes on Huangshan can be customized according to your days, energy condition and interest, basically for one day, two days or three days. It doesn't matter a lot to start your hiking from the Front Mountain or the Back Mountain. Please feel free to let us know your idea if you have no idea where to start. 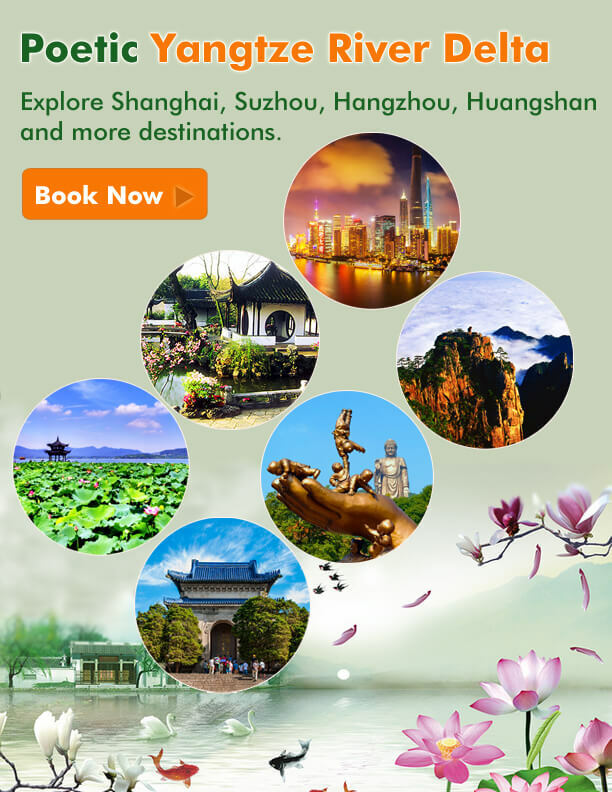 Experiencing the exquisite Jiangnan-style elegance in Suzhou and Hangzhou, soaking in the excitement of Shanghai's vitality and busyness, being amazed at the four wonders of Huangshan...You will appreciate this deep exploration of China, and also the amazing experience of taking high speed train. Experiencing the exquisite Jiangnan-style elegance in Hangzhou, soaking in the excitement of Shanghai's vitality and busyness, being amazed at the four wonders of Huangshan...You will appreciate this deep exploration of China, and also the amazing experience of taking high speed train. Whichever nickname you prefer, "Paris of the Orient" or "Pearl of China", Shanghai captures the essence of new China, as well as its centuries of history and culture. 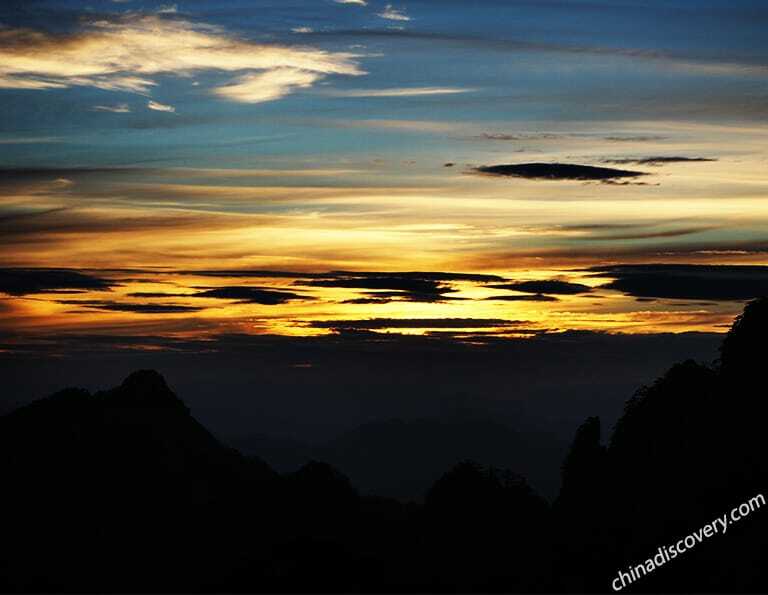 It is also the best gateway city to travel to Huangshan. 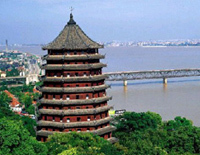 During this tour, you will first spend 1 and a half days in Shanghai to visit the landmarks as well as the beautiful Zhujiajiao Water Town. 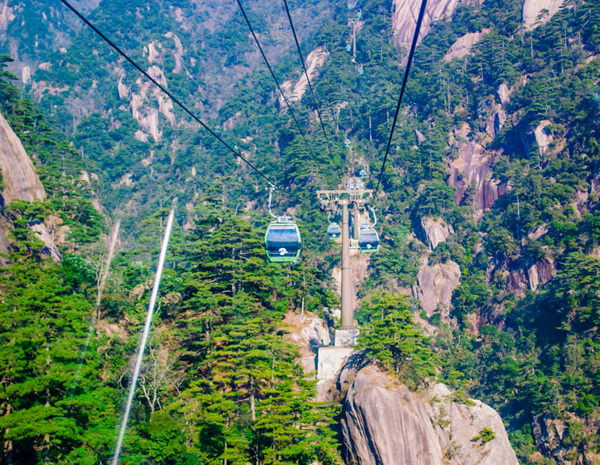 After that, take a high speed train to Huangshan to hike the Yellow Mountain. 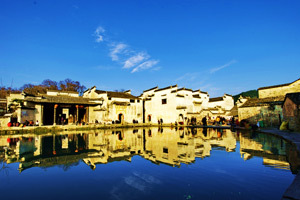 Jiangnan area boasts the elegant scenery with exquisite water and traditional buildings. It is a great treat for travelers who want to travel from Shanghai to Huangshan by high speed train. The train seems to take you from modern to ancient, from fashion to tradition, from city’s hustle and bustle to tranquility and quietness in this area. 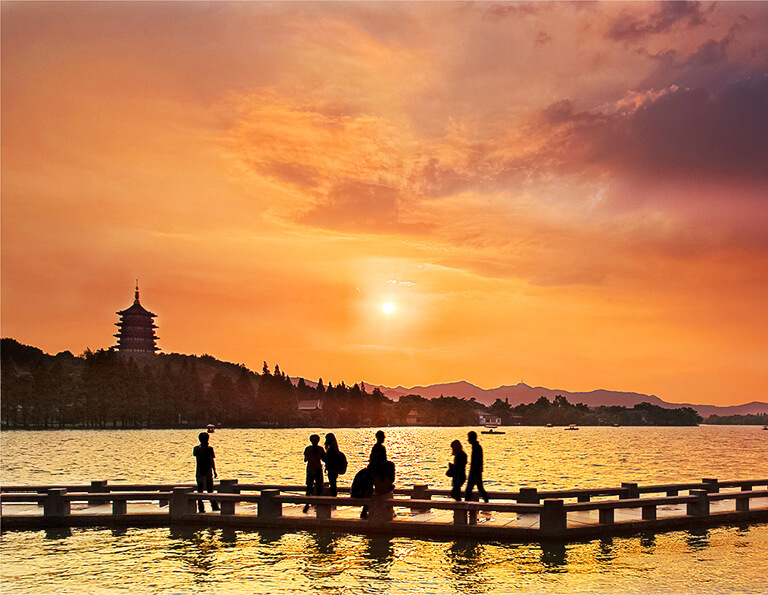 Hangzhou is the best representation of classic beauty of Chinam, mostly thanking to the romantic West Lake which is as beautiful as a classic Chinese ink and wash painting. 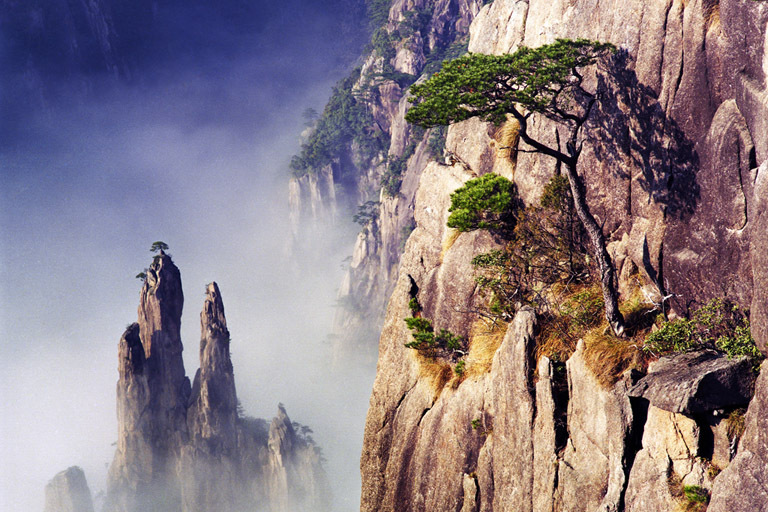 While Huangshan, also known as Yellow Mountain, is praised as the most beautiful mountain in China. So this tour is undoubtedly the "most beautiful" trip in China. You may be planning to visit the Yellow Mountain of China, but having no idea how to start it. Here is a wonderful way - traveling to Yellow Mountain from Beijing. It's only about 6 hour's high speed train journey from the capital city Beijing. 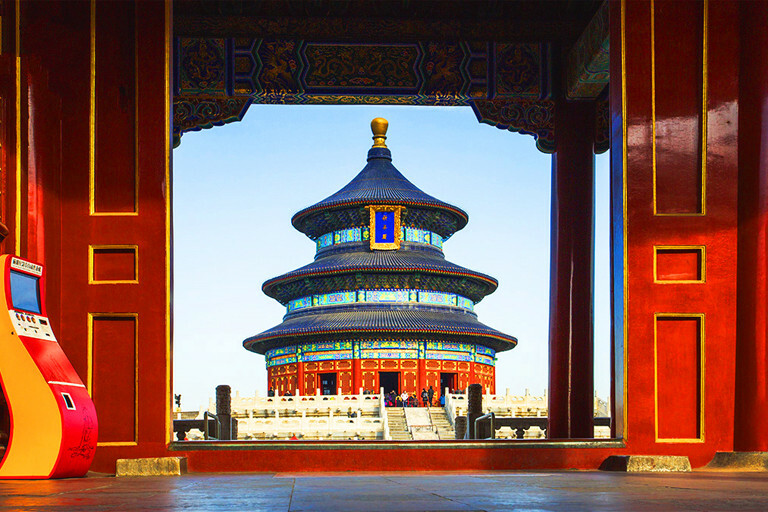 During this tour, you can not only have the opportunity to explore the historical and cultural center of China, but also enjoy the fabulous time spent on the most beautiful mountain in China.